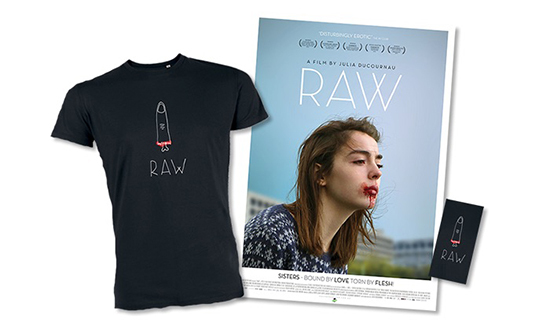 In writer-director Julia Ducournau’s feature film Raw, a young woman, raised as vegetarian, loses her innocence (and mind) when she commences studies at a veterinary college. Our reviewer, Katerina Sakkas, calls it a work of serious horror, “multilayered, rich and strange,” with abundant references to classics such as Carrie and American Mary. We have 5 T-shirts to give away, each with a with double pass courtesy of Monster Pictures. Available all states except Tasmania. Offer closes Friday April 28.